Welcome to the “Gaming News from Neoscream” post and its my Birthday. 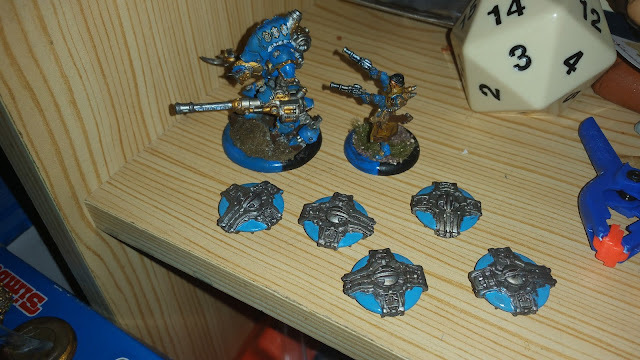 This is my weekly gaming news post for miniature games, RPGs and some card games, as well as my miniatures painting and upcoming local events. First off we have the Bushiroad news. With Weiß Schwarz, tomorrow will see the release of the "Milky Holmes - Strikes Back" booster set in Japanese. 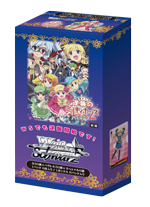 Also next week will see the release of the Fate / Kaleid Liner Prisma ☆ Ilya Zwei Hertz booster set. With Cardfight Vanguard, next week will see the release of the "Fighter's Collection 2016" booster set in English. 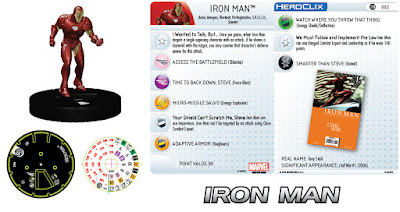 Next is the HeroClix news. 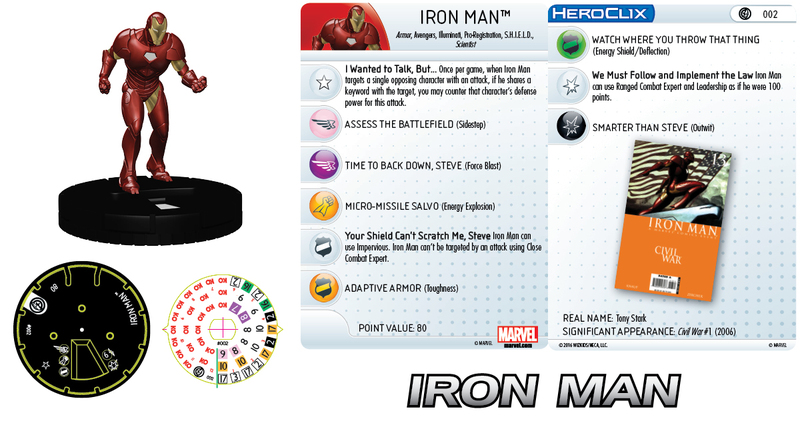 This week we got previews of: Iron Man and Captain America from Marvel Civil War (not to be confused with Marvel Captain America Civil War). 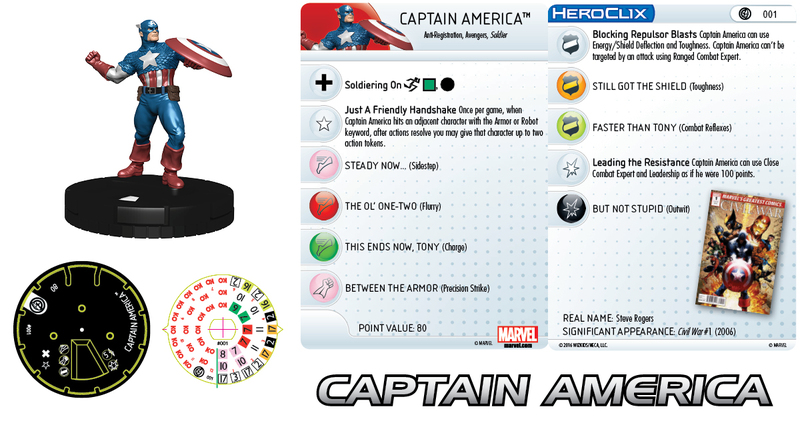 Now for the Cryptozoic news. The Ghostbusters The Board Game 2 KickStarter has finished now and they managed to make $767,568 with 4,385 backers. Since the last post they managed to unlock: Three exclusive ghost Werechickens were added to Ghostbusters pledge level and above; the exclusive ghost Ellen Gold was added to the Proton Slinger pledge level and above; the Psychokinetic Surge card booster pack will be added to Ghostbusters pledge level and above; the exclusive Super Specter expansion as an add-on; the exclusive 50mm ghost Killerwatt was added to the Proton Slinger pledge level and above. 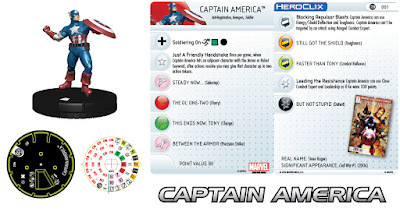 Next is the "Fragged Empire RPG: Protagonist Archive and Miniatures news. The KickStarter has finished now and they managed to make $74,818 (Australian Dollars) with 1,010 backers. Since the last post they have managed to unlock: The adventure "Alien Flame"; and a professional quality rules video. Lastly there is the Steamforged Games LTD news. Their Dark Souls: The Board Game KickStarter is still going strong. So strong that it is the sixth biggest "non digital or computer hardware" game on KickStarter. Since the last post they have managed to unlock: The Oliver the Collector mini-boss; the Maldron the Assassin mini-boss; the Armoured Dennis mini-boss; nine Double-sided Gaming Tiles as an add-on; the Marvellous Chester mini-boss; the Fencer Sharron mini-boss; the Old Iron King boss Expansion as an add-on; and the Solaire of Astoria summoned NPC. The stretch goals that are still going as I post this are: The Ruined Aflis summoned NPC at £2.7m. The KickStarter will be ending on Monday so let us see what they can unlock between now and then. Wave four of Kingdom Death Monster (December 2013), “Mekton Zero” (digital December 2013, physical March 2014), wave three of “Journey Wrath of Daemons” (July 2014), “Paranoia” (June 2015), wave two of “Shadows of Brimstone” (August 2014), “Zero Agents” (December 2015), wave two of “Robotech RPG Tactics” (December 2013), wave two of “Infinity RPG” (July 2016), wave two of “Slaughterball” (June 2015) have all been delay due to problems and currently have no dates on when these will start shipping. “Deadzone Infestation” (January 2016) is all currently shipping. The "Dark Souls: The Board Game" KickStarter will be ending on the 16th of May 2016. Both “Halfling Adventurers Miniatures” (January 2016) and "Mechabrick Upgraded" (March 2016) should be shipping this month. Wave one of the “Conan” board game (February 2016), “Myth Journeyman”, "Dropfleet Commander" wave two of "Zombicide Black Plague" (December 2015) and "Warbears and Stagriders, Fantasy Wargames Miniatures" (March 2016) should ship in June 2016. "The Others: 7 Sins" (March 2016), “Demigods Rising” (July 2015), wave one of the “Infinity RPG” (February 2016), “Battle System’s Urban Post Apocalypse Terrain”, "Teenage Mutant Ninja Turtles: Shadows of the Past" and "Odyssey Argonauts" should ship in July 2016. Wave three of the “Infinity RPG”, "Rail Raiders Infinite" and "Arcadia Quest Inferno" (June 2016) should ship in October 2016. Wave two of “Journey Wrath of Daemons” (July 2014) should ship some time between October and December 2016. "Dark Souls: The Board Game" should ship in April 2017. On Saturday the 14th of May 2016, there will be a Cardfight Vanguard Tournament at Wargames Workshop MK. Please check the "Card Circuit M.K." Facebook group for details. 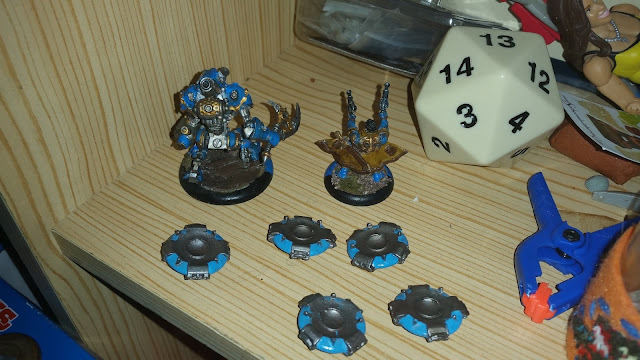 On Sunday the 15th of May 2016, Guardians of Tyr will be running a Steam Roller Warmachine/Hordes tournament at Wargames Workshop Northampton. (this might be the last 2nd edition tournament in Northampton). On Sunday the 22th of May 2016, there will be a Weiß Schwarz Tournament at Wargames Workshop MK. Please check the "Card Circuit M.K." Facebook group for details. On Saturday the 28th of May 2016, there will be a Cardfight Vanguard Free Fight at Wargames Workshop MK. Please check the "Card Circuit M.K." Facebook group for details. On Saturday the 5th of June 2016, Guardians of Tyr will be running a Warhammer 40,000 Conquest tournament at Wargames Workshop Northampton. On Saturday the 18th of June 2016, Guardians of Tyr will be running a Steam Roller Warmachine/Hordes tournament at Wargames Workshop MK. (this will be the last 2nd edition tournament in Milton Keynes). 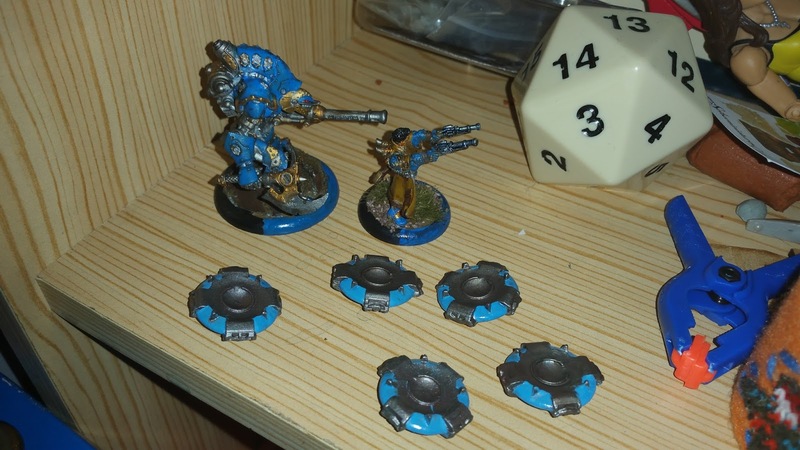 On Sunday the 19th of June 2016, Guardians of Tyr will be running a Netrunner tournament at Wargames Workshop Northampton. On Sunday the 17th of July 2016, Guardians of Tyr will be running A Game of Thrones the card game tournament at Wargames Workshop Northampton. York House has a £3 on the day gaming fee (unless you are a child or unemployed where it is £1) and a £5 fee for a year’s membership. However the first day is free and they normally only take the yearly membership fee at the start of the year. The hall officially opens at 7PM for us gamers, but normally people start arriving about fifteen minutes early to grab tables. 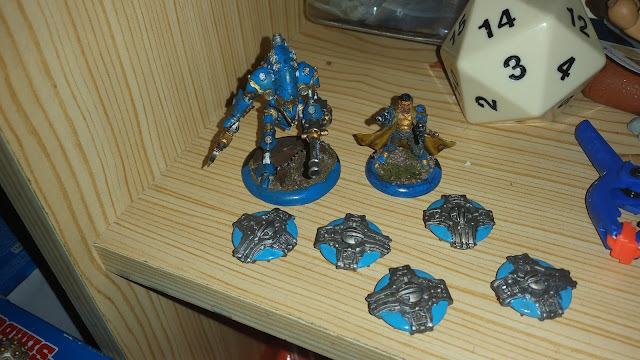 This time I have for you all the Cygnar Character Light Warjack Ace, the Cygnar Warcaster Caine and five UFO for the XCOM board game. On Tuesday's post I should have for you all five more UFO for the XCOM board game, in fact all of next week will be UFO.